For the third year in a row, this year a new edition of 'El Camino acaba en Obradoiro' has been held, an initiative that has taken the ex-Helene ex-baloncesto Galos to Galician lands, where he has completed the English Path in five days. 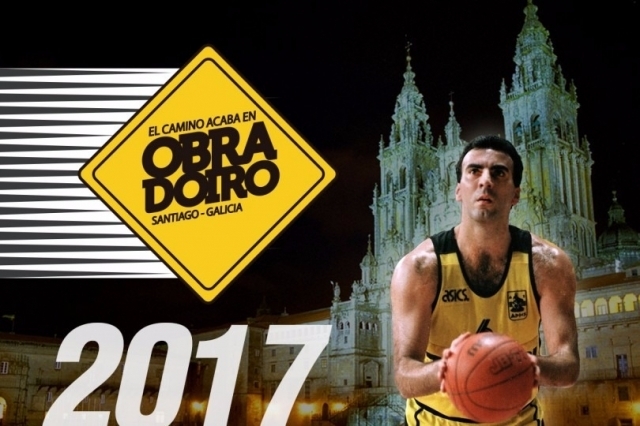 This project, which has behind the Basketball Club Obradoiro, seeks to promote the values ​​of the Camino de Santiago and basketball among society, and in previous editions has already had the participation of illustrious basketball Terry Porter (2015, Camino Francés) And Jose Antonio Corbalán (2016, Camino Primitivo). The Greek player departed from Ferrol last Sunday to travel the English Way during five stages, arriving in Santiago de Compostela this Thursday afternoon. Galis toured the last section along with the director of Tourism of Galicia, Nava Castro and was received on arrival by the Secretary General for Sports of Galicia, Marta Míguez. The basketball player happens to be part of the more than 2,000 pilgrims who have chosen the English Way in 2017 to travel to Santiago, where on Thursday he obtained the compostela and was able to visit the Cathedral of Santiago. Nikos Galis, an American by birth, is one of the most important figures in the history of European basketball and a great architect of the take-off of basketball in Greece in the 80's. He spent almost his entire career linked to the Aris of Thessaloniki, putting the finishing touch on Panathinaikos; With many national titles, Galis managed to become the top scorer of all European and world competitions in which he participated since 1983. His career is recognized in the halls of fame of the NBA and FIBA.